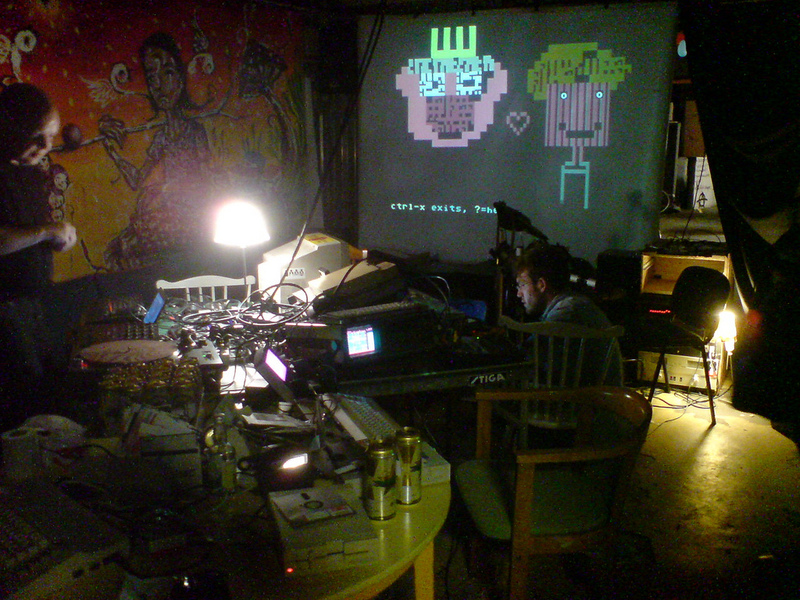 In 2006, I did an audiovisual DATAJAM in Gothenburg together with Dino, Yoki, Booger, Mortimer Twang and Optiroc. Live coding, music and graphics. Yesterday me, Frantic, Jucke and Dino made a similar thing at Hacknight #2 in Malmö. On this photo you can see five C-64s, a serato setup, midi drums, and a wersiboard. While me and Frantic improvised with defMON, he also used his drums and keyboard. 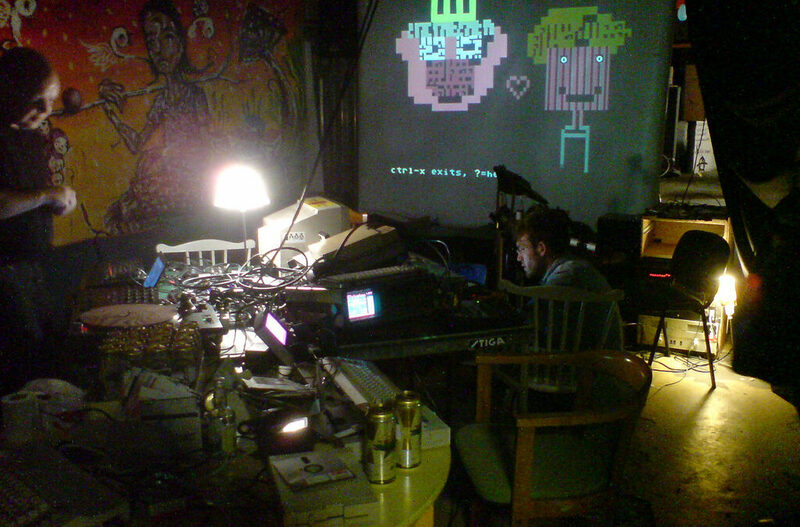 Jucke scratched with C64-sounds and Dino drew his PETSCII live. Maximum data experience!